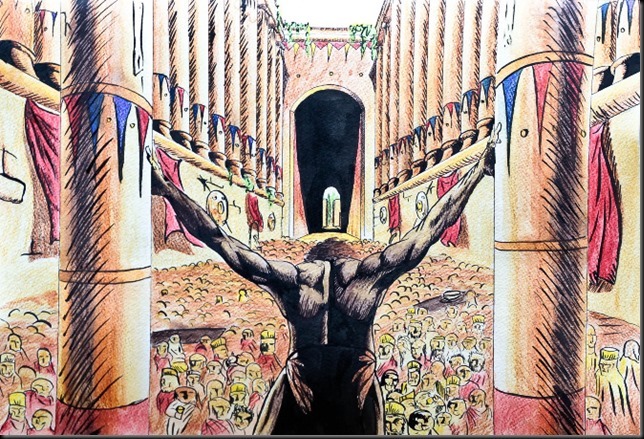 “Agonistes” is borrowed from the Greek and means “struggler” or “contender.” It is used as an epithet following someone’s name, the most famous example of which is “Samson Agonistes,” the dramatic poem by John Milton. Richard Armitage has been and is to this day, a contender in the entertainment game, race or struggle. He’s yet to reach the pinnacle of his chosen career. At times, he breaks out of the pack, wins the set, achieves a knockdown; but his overall standing doesn’t change. A case in point is what didn’t happen after “North and South.” By all reasonable expectations, the impact he made as a result of that performance should have catapulted him into numerous roles for BBC and other British production companies, if not on to the big screen. Yet, for two years not much happened, except a few isolated and small roles like “Malice Aforethought,” “The Inspector Lynley Mysteries,” a mediocre and short-lived medical series, “The Golden Hours,” and a small role in a small film, “Frozen.” Things picked up markedly in 2006 with “the Impressionists” and “Robin Hood.” From then on he had regular work in ever- growing roles, finally starring as John Porter in “Strike Back.” He was was not just a contender, but a strong contender. Yet, Richard Armitage wasn’t the favorite. At least not the favorite of those who do the casting in the film industry. From 2006 to 2010 there was no appreciable level of recognition outside the U.K and apparently no one was knocking at his door with film scripts. Then, in 2010 came the announcement of his casting as Thorin Oakenshield in “‘The Hobbit,” – a tremendous breakthrough. Here was a starring role in three big films, sure to be heavily promoted and guaranteeing him a place in the spotlight for the next four years. It seemed like the contender’s struggle for dominance could be over. But it isn’t over. Because as I write this today, there is no upcoming project that we know of for the contender. The struggle continues. Every time I read or hear some interviewer ask what his next project is, I cringe as Richard Armitage responds that he has nothing up right now. I know these are old interviews. But the situation hasn’t changed. I wince when I look at His IMDB page or his fan sites and see nothing listed under “current projects.” And frankly, I just don’t understand it. Every move Richard Armitage made once he was cast in “The Hobbit” was right. His performance was good; cast and crew had nothing but the best things to say about him as a colleague and a friend; he comported himself perfectly at interviews, premieres, ComicCom, photo shoots. He was golden. Furthermore, the excuse that he’s not well-known or recognizable outside the U.K is obsolete. 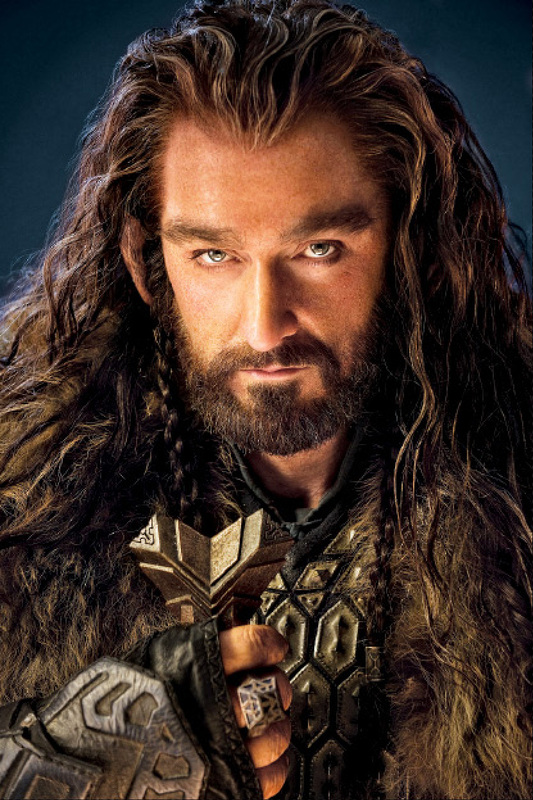 His visage as Thorin Oakenshield is immediately recognizable. He, himself is recognizable in New York, in Canada, in Japan- wherever he goes. The increased web presence is proof that his fan base has been hugely expanded. Nor can those in the industry claim that “The Hobbit” didn’t show enough range for them to make any decisions regarding Richard Armitage. He has a diverse body of work for them to inspect and assess. It isn’t the schedule, because there have been breaks throughout the three year period from 2010, and now, the work is completed until the promotional tours start for the DOS. And anyway, other Hobbit actors have announced new projects. Maybe there is something in the works and we just don’t know about it. 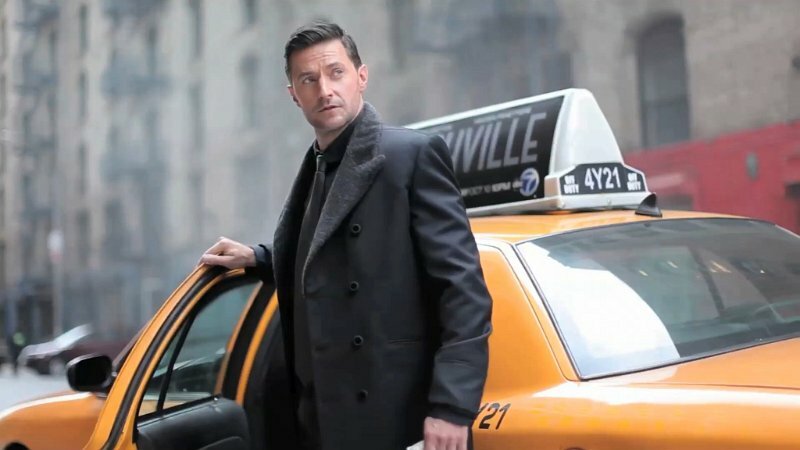 Maybe Richard Armitage is spending his off-time reviewing scripts, deciding whether he wants to do a BBC mini-series, waiting for something to be green-lighted. Hundreds, if not thousands of fans hope so. 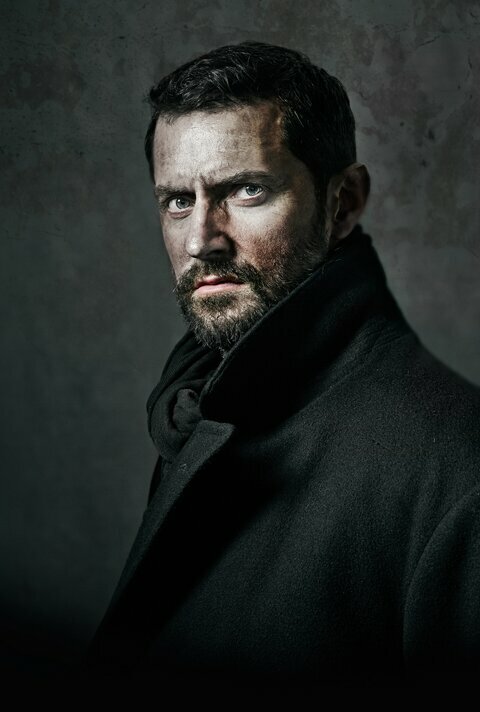 In the meantime, Richard Armitage remains the contender, the struggler. This entry was posted in blogging, Fandom, Richard Armitage and tagged As Contender, Blogging, North and South, Richard Armitage, Stardom, Strike Back. Bookmark the permalink. Another provocative post from Armitage Agonistes. Comments over there, please. A very interesting post. I’ve been wondering this myself. What in the name of little green apples is wrong with all the casting directors? For heaven’s sake. It’s inexplicable. Maybe there aren’t good enough good scripts out there. Maybe he’s being approached but is being very selective. For us it’s the not knowing, isn’t it? We have no way of knowing how RA himself is feeling about all this (sanguine, desperate, upbeat…). As you say, he may well have a project lined up and is waiting for the finish of Hobbit filming to announce it, but for the moment it feels as though we are all holding our collective breaths, wanting nothing but the best for our man. I equate it to the feelings I have at the moment for my oldest son who’s completed two degrees and now faces the task of finding a job in his chosen field- it’s a sense of helplessness that there’s really nothing I can do to help but at the same time just hoping it will all just fall into place. Your analogy is spot on. I hope things move more quickly for your son than they seem to be for Richard Armitage. After posting, I saw reference to an article in Vine allegedly quoting him as saying, in March or April, that he was looking at about 5 scripts, based on books – this is where he mentioned the “charming book,’ most people think is The Guernsey Literary and Potato Peel Society. But Potato Peel has been delayed. That was an interview RA did late in April when he was here in Sydney. He must be so aware that the media and his loyal fans anxiously await an announcement, ever ready to pass judgement on the wisdom of his choice and speculate on the future direction of his career. One false move…. If he does have choices, I’m confident he’ll make a sound decision. He has so far. I don’t know about the fans who would criticize. I’ve been reading old message boards to see what the initial reaction was to “The Hobbit.” Whatever was said, in the end, he owns that role. I think playing Thorin was undeniably a great choice- a big step up in terms of challenge and career profile, but also a role that’s been immensely meaningful for RA personally. I guess we as fans feel so invested in his career that its easy to feel (rightly or wrongly) a certain sense of ownership over his choices. Since we can’t actually pick roles for him, all we can do is cheer or jeer from the sidelines! I meant to add, well done for all the work you’ve put into your blog- I await your future posts with interest! Thanks. I look forward to future exchanges. I’m really looking forward to his future projects, but I have to wonder how he’s going to have time to film anything with all the promoting he’s doing of Hobbit movies and I imagine he also has to do promotions for Black Sky. Depends on what he gets. I don’t know that much about how things work, but something like a four part miniseries might be doable between now and November. Or he would be able to start in late winter, if it’s a film. I don’t think Black Sky will have the level of promotion that The Hobbit will. Actually, as per Morrighan, I think I also saw something about an early January ’14 release. But, bummer. So, what sort of screening was that? Not sure about the month thought but it is scheduled for 2014 release according to comingsoon.net – and with more news via twitter that more scenes are going to be filmed, then 2013 is definite NO GO for Black Sky. However I wouldn’t worry so much about Richard Armitage being always the contender. Everyone in Hollywood, even the ones we often assume have made it to the top of their game, are always contenders. Maybe there are exceptions of course like Tom Hanks or Will Smith or Johnny Depp who can greenlight a project just be blinking an eye in that general direction. But they’re all contenders because in the end, the public is fickle, and the money handlers are even more so. Even Tom Cruise, always a power player, has been slipping. In Hollywood, there’s the famous saying, “You’re only as good as your last movie/TV show/project.” After that, people have short memories and shorter attention spans. And Armitage is not one to rest on his laurels. He will always want to do better, and produce good work, even if it will seem that he is a “struggler “in that sense. But in the general sense, he and everyone else who chooses to pursue a passion will always be a contender. As I used the phrase, admittedly a little broadly, the goal of the contender, competitor, combatant, is to win the prize over others, and I argued that despite The Hobbit, he wasn’t there yet – the overall prize in this case being choices in the roles he really wants, more feature films. As I defined the term, he hadn’t reached the pinnacle, as evidenced by the silence in any announcement about a new role. – although it is conceivable, and I hope probable that he’s got options, we just haven’t heard about them yet or they’re not firm. As I mentioned in a comment, after I’d posted the article I read an interview in which he said he was looking at about 5 scripts. Sorry I am new at this ! Hi Perry !! I know it is really late to post a reply but I will try and hope for a response.My name is Chris and I have just discovered Mr Armitage this fall after rented the Hobbit for the hubby.Did not know most of the actors from the movie so looked them up.Stumbled upon Mr.Armitage and thought him a “differently attractive ” fellow.Was intrigued and started researching him.Was astounded to find out that some of his work was available to me on Netflix and of course on the internet. Loved a lot of his work ,half liked other of his work and disliked a few things. Then started looking him up on You tube (interviews) and articles in magazines. Struck by his personality.Then started reading posts,blogs etc… Found the whole fandom thing really fascinating. Some of these blogs,sites,posts (sorry I am not computer savvy and English is not my first language so be patient) really and truly creep me out so I refused to post and othersvwere just too protective of him to allow me to comment. I am a little scared. I then posted a 4-5 sentence on a really interesting blog (tells it like she sees it and unsentimental) but got no response. She seldom posts…. Then I discovered your blog and specifically this post… Wow !! Really liked it and felt safe enough to comment. Long winded aren’t I !! Indeed, what as our man been doing lately ? What did not happen 10 years ago after N and S ? His career path is so bizarre . Working to make a living but nothing big happening. I am not sure the Hobbit trilogy will open up that many doors for him…Hope I am wrong …Maybe better for him to be a big fish in a small pond as opposed to a small fish in a big pond. He seemed to have quite the momentum going with RH,Spooks and Strike back but kind of broke it in a way by taking on the Hobbit trilogy ( which he could not refuse of course) When all is said and done, he will have spent 4 years of his life on this thing (Feb 2011 to April/May 2015 promoted the DVD for the 3rd movie ?) An eternity in Hollywood !! H e has been a class act as a promoter but at what cost to his career. What as he done lately ? That tornado movie ? I do not know.. I have a really bad feeling about that one. On the Poldark blog you wrote people were commenting that Hollywood does not seem to embrace him . W hat is the problem ? What do you think ? I will stop now because I am all over the place !!! Thank you kindly !!! Wow, well. Where to begin? First, Welcome. second, I hope you scroll through the blog to find other goodies aside from the news I am known for posting.There are some substantive posts there under between the Sheets, Drowning not Waving, Lucas North, Sports, Strike Back, The Hobbit and what I was told was an awful, early one about Guy and Marian. Unfortunately, the blog community is fractured right now and only a few bloggers explore things, some too much, some very superficially. Our man is doing nothing that we know of currently. If you read comments in almost any post in which propose him for a role ( I have a topic -Miniseries – mostly a spoof but some seriousness) you will find many frustrated comments from my readers all raising the contender question. That Tornado movie may have been a bone from WB because of how much TH jammed him up for four years. Many have the same bad feeling because it is, after all, a disaster film. I don’t know what the problem is. I fantasize that he is rejecting scripts left and right looking for the next right thing. There have been so many films and good TV and mini series for which he would have been perfect. He has made some statement that it is hard to break into Hollywood because he is competing against must bigger more experienced stars. Then he said committing to a TV series for 7 years is a drawback. And he said he’s like to small indie films. His “like to dos” change. He will start promo for the DVD release of DOS in one month or so. Then promo for Into the storm. Then pick ups for Th. then the release of Into the Storm. Then promo for TABA. then release of TABA. So,stay tuned. As I said, there are few blogs really discussing the substance of his work right now. It seems to be a combo of fun, images, and deep deep analysis into the fandom and the fans. I think a lot of us wish he would just go back to BBC work. British series. I am rep!ying to myself , I am so lonely here… 😀 Eh eh !! for TBT – What a difference a year makes. What a stunner of a photo. A torso worthy of Zeus! BTW I didn’t realize he had a small role in Frozen! That puts him in the same club as Ciarán Hinds (Pabbie the Troll). It’s a different “Frozen.” An independent film available n Amazon streaming.